The riddle of the Gravity of Love enigma is one of those strange riddles that, after offering the result of the formula that it represents no one seems to be convinced. Finally, the physics constant G is also present in the riddle of Gravity, together with the Rydberg and the Planck constants. This riddle is so strange that after offering the result of the formula that represents it, nobody seems to be convinced. Even though to resolve this problem we only need to multiply the speed of light *c* with the Planck constant *h* with the Rydberg constant *R* and with a Molwick. 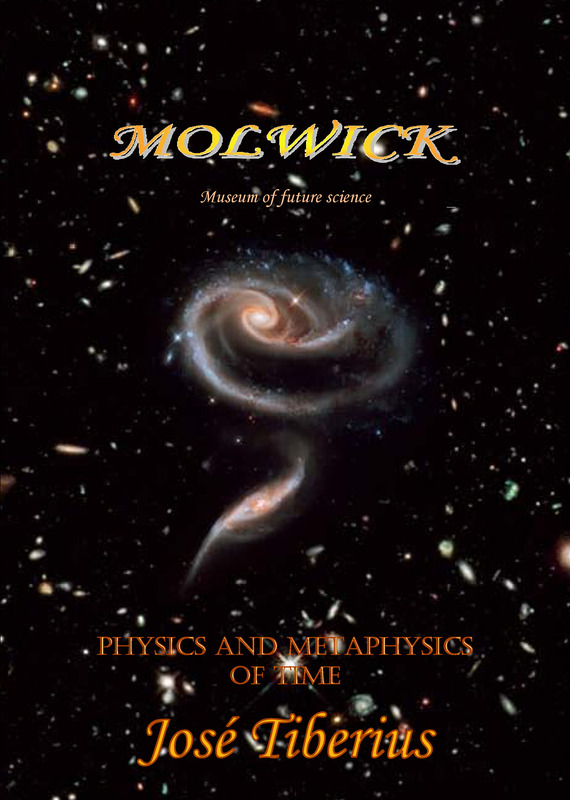 Being conscious that one Molwick is equal to the speed of light *c* divided by the constant of the gravity of Newton *G*. It could be, but that would be like a proton winning the lottery, not just the first prize but the whole universe since the quantities involved in the physics constants exceed the number of existing protons in the whole of the universe. According to non-serious quantum estimates, it would be a quantity of the order of 1080 –also somewhat metaphysical without a doubt. 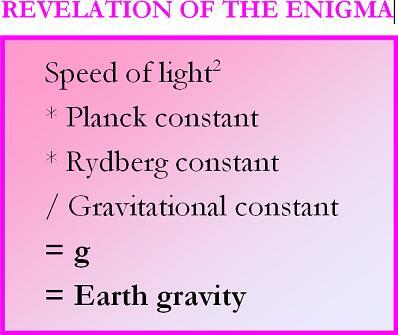 The result of the riddle is not exact because it does not match with gravity acceleration *g* on the Earth’s surface. Of course, a slight quantum slips up since it is common knowledge that gravity acceleration on the earth’s surface is variable according to the radius, the composition of the earth and the altitude due to the effect of the centrifugal force of the Earth’s rotation. We need to verify the decimals of physical constants in the formula for the riddle of the Gravity of Love enigma. I had a similar comment in the new and much modest explanation of the anomalous precession of the orbit of the planet Mercury. Which told me that the value that I had used for the sun’s mass could be wrong because I had not used the official charts, despite the fact that I use the same value as Einstein when explaining the same precession stretching time and space. In the case of the riddle of the Gravity of Love enigma, we would say that it is just the opposite because the knowledge of this formula can be useful for accurately calibrating the decimals of the physics constants that intervene in it. There are problems with the dimensions. If it put directly forth, there can be a problem, but as we showed on the previous page about gravity acceleration, this problem does not exist. Besides, the problem could be the dimensions of the current physics constants such as the units of the constant of gravitation, which do not precisely take into account the new effect demonstrating the Equation of Love as well as the Gravity Riddle. As strange as the origin of the Love Equation and the Gravity Riddle may seem, they are independent, three years difference and both are quite fortuitous. So much, that from their origin, one belongs to the world of physics and the other of metaphysics. It is true, but it is easy to solve just by drawing a little arrow over the vector magnitudes, as done by the Modern Physics books. After these observations, which we have evidence that they are well-meaning in the majority of cases since it would have been easier to say that perhaps the gravity riddle was important. We have concluded that the more educated a person is in science, the more reluctant is to admit Modern Physics’ big mistakes and especially if they come from the field of theoretical metaphysics and not from experimentation. Of course, they cannot come from experiments because if the evidence of simple addition or multiplication is not accepted, how are they going to accept possible logical reinterpretations of experiments and known natural phenomena. In other words, the riddles and scientific experiments allowed are those who confirm the actual paradigm although it is breaking poorly. The GigaChron experiment explains in detail the Riddle involving the Universal Gravitational constant, Rydberg constant, and Planck constant. We are now going to cite its main elements and its connection to the Love Equation. The Equation of Love does not add anything new mathematically, but it helps the mind understand the possible relations between several fundamental constants in Global Physics, such as the Universal Gravitational constant, Rydberg constant, Planck constant, and speed of light. However, from the subjective or metaphysical point of view, it allows the expression of some nice ideas. Likewise, the time of love is an inseparable element from life. Time is the fourth dimension and love can be seen as that desire or feeling when traveling through life. The Equation of Love could represent the subjective and objective points of view of the physical reality if one of them exists. Love, as an objective meaning of the proposed equation, it forms as a property or physics law that relates the force per unit of mass with the total force along a unit of space or energy. About gravity acceleration and the Equation of Love, we have to substitute time squared in the Equation of Love from its value in the equation E = m c², and in operation we end up with Newton’s equation for gravity acceleration, which would be equal to love times energy. On the contrary, we would get the same in this formula if in Newton’s equation for gravity acceleration we substitute mass with its value by clearing Einstein’s E= m c² equation –originally from Olinto de Pretto. In other words, a relation between acceleration and energy and, in this sense, we could understand love as the gravity of energy. 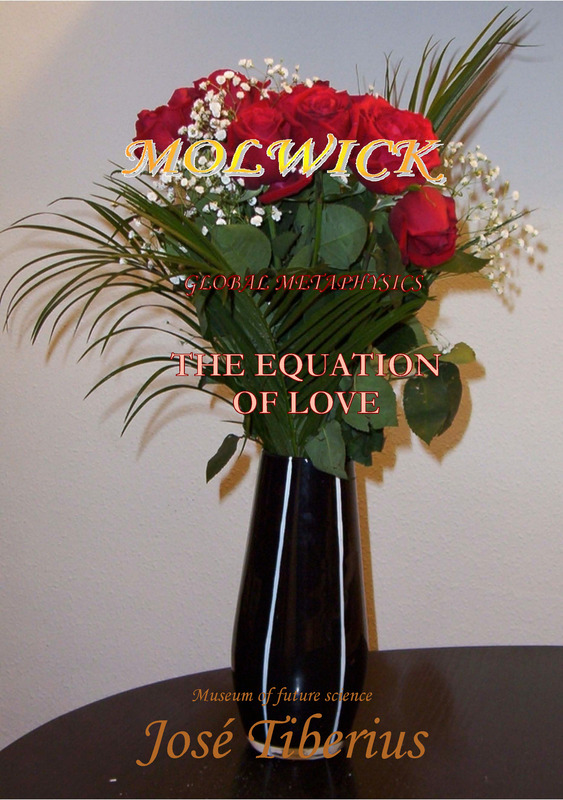 The Equation of Love has been the source of metaphysical inspiration or the impulse for seeking the relations between the essential physical constants that puts forth the Gravity Riddle. Leading to the new physics experiment GigaChron to confirm the essential formula of the Global Physics since it states the equivalences and relations between the primary magnitudes of Global Physics. At least one of the constants involved in the riddle contains the information relative to the relation between the Earth’s mass and its radius squared, a slightly variable magnitude. Which could it be? As the speed of light and the Universal Gravitational constant of Newton seem quite constant in the Solar system, the Planck constant, the Rydberg constant or both should have a different value on the moon in direct proportion to the difference of gravity, that is, 0.165 times that of the Earth. 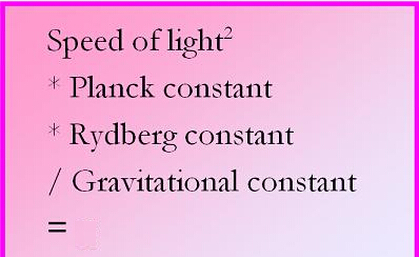 Both the Planck constant as the Rydberg constant do not seem to change taking into account the spectrum of the emitted radiation by the different elements on the Sun and other stars. In short, gravity riddle shows the existing relation between gravity and basic configuration of energy. This relation, with well-known equivalence between mass and energy, E = m c² and the existence of the Global Aether –reticular structure of matter supporting potential gravitational energy, kinetic energy, and mass–, places us directly in the heart of the Global Physics, whose most popular aspects will be that time is not relative and space does not squash nor stretch. As it is a real equality as proven on the previous page, it would be necessary to continue thinking. The numeric calculations and a more detailed study of this riddle of love are on the page of constant physics of the book Scientific Experiments in Global Physics. In the book Law of Global Gravity, an alternative for the Theory of Relativity reappears the Riddle of Gravity but under the name of Gigachron experiment. It is reformulated to present the underlying relations or the Gravitational Law of the Equivalence [ g = ( E c /G) * n ] regarding a different perspective of the gravitational interaction. We are discovering why constant physics are not so constant. In one case, it is about the modulation of the Gravitation constant and the Rydberg constant; the explanation is in the book of Global Mechanics where we study the structure of the material, its particular elements, and the atomic model. Of course, *c* is not constant for many reasons, and we do not know if *h* will be saved once the artificial and mathematical constancy of the speed of light disappears. It is also true that the gravity constant *G* allows us to know the information we commented on related to the relation between the mass of the Earth and its square ratio of the energy of the camp in a point is known.